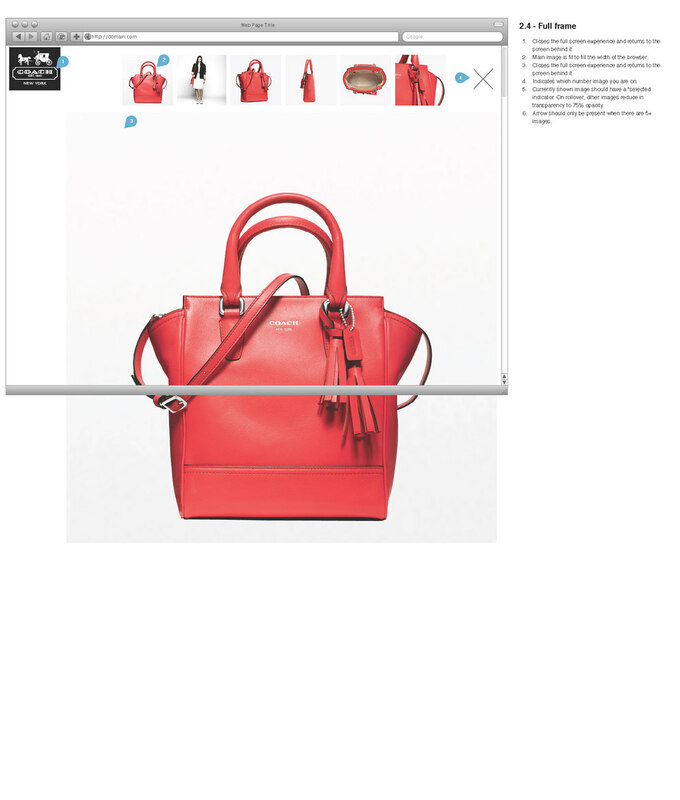 Elevating the online handbag purchase experience. 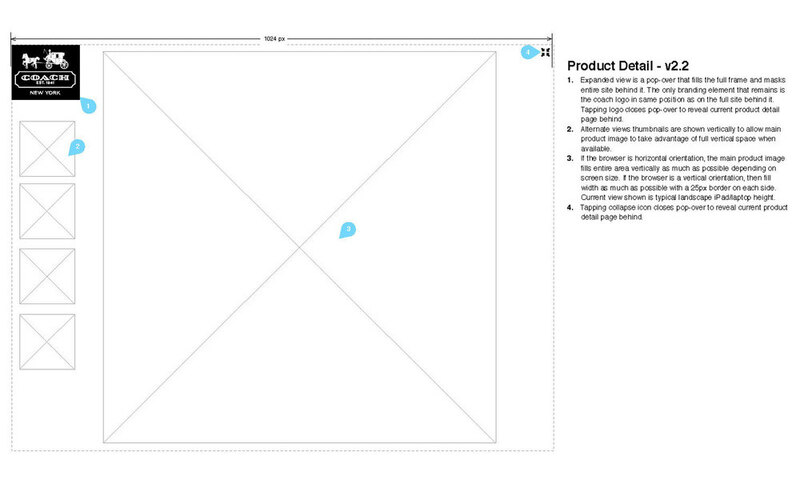 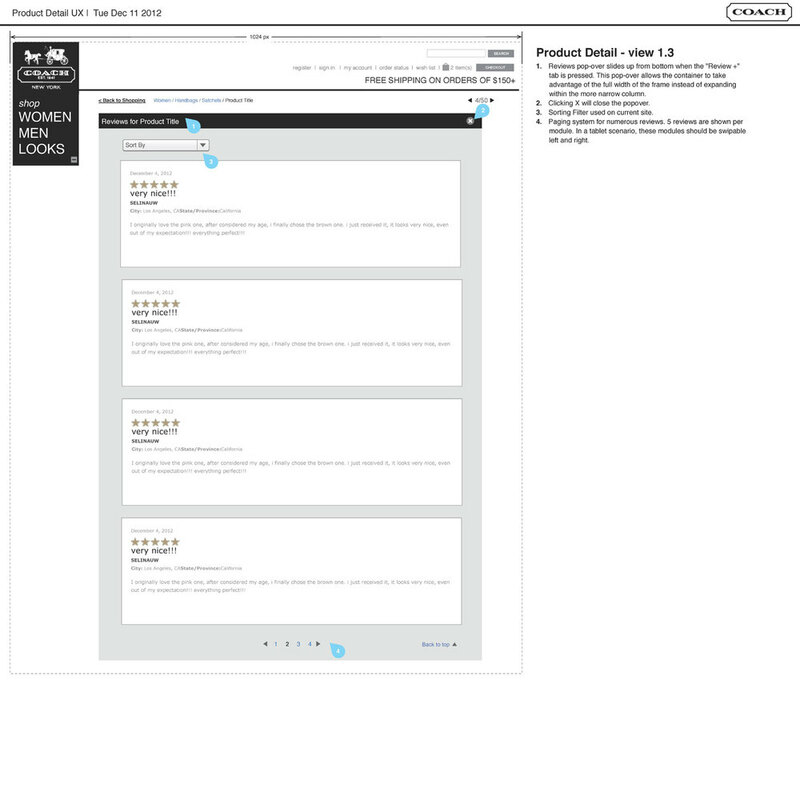 Lead experience designer for product detail page redesign. 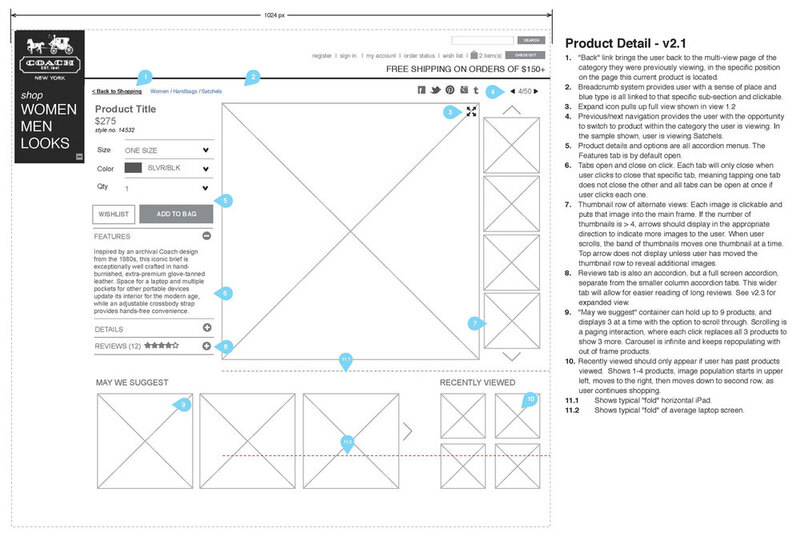 Managed in-person user testing for design learning and validation. 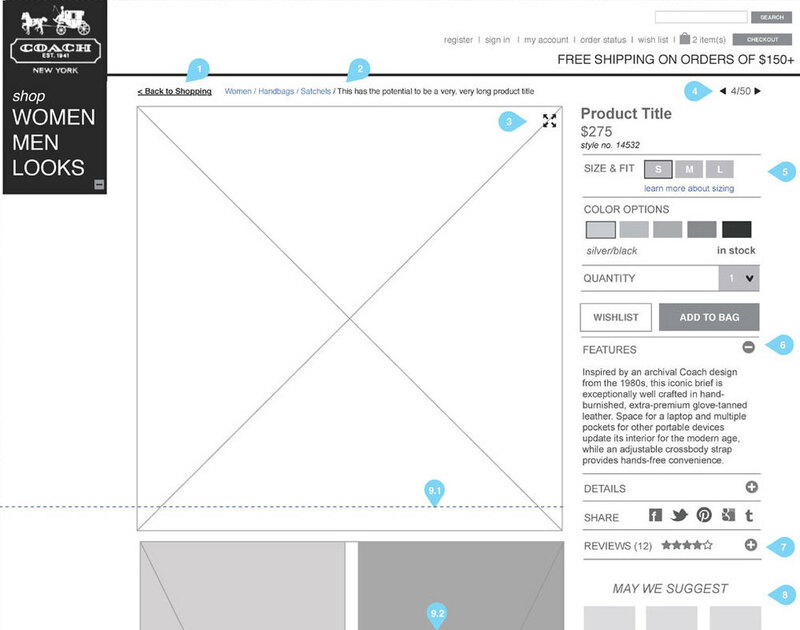 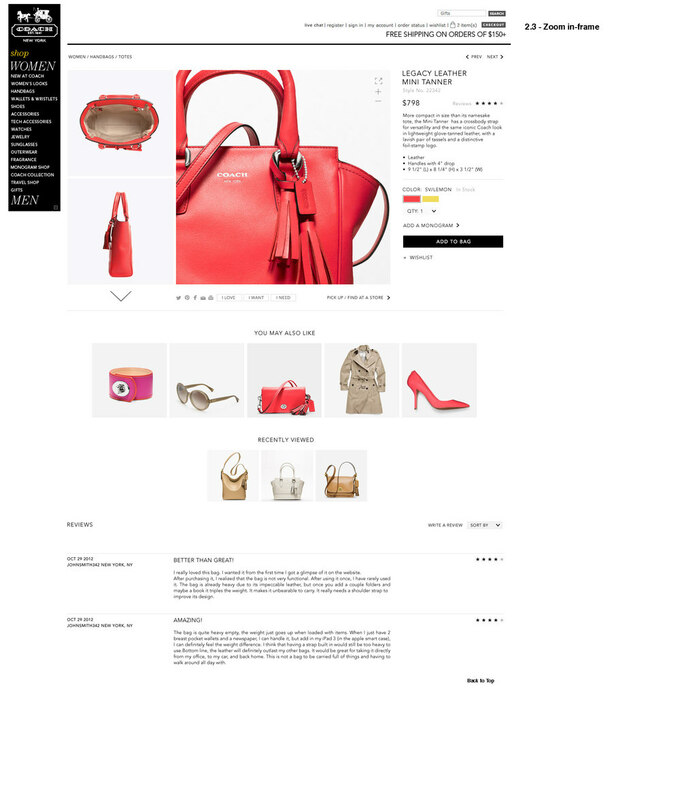 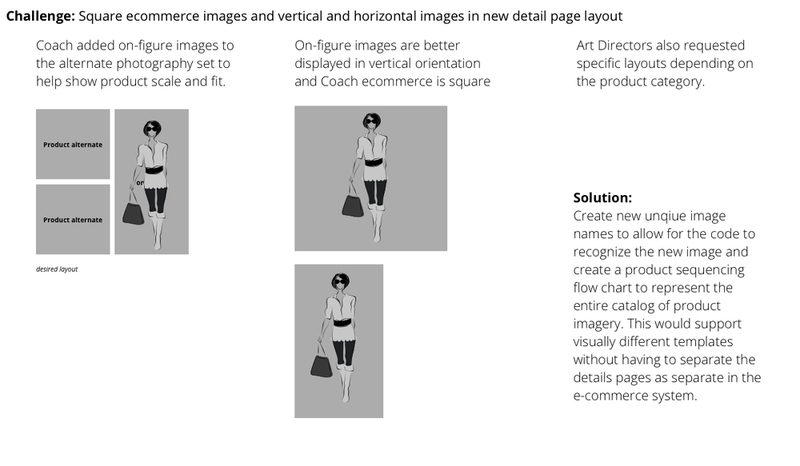 Defined UX and interaction patterns for all page elements including add to cart, add to wishlist, reviews, sharing, alternate imagery flow charts, and zoom. 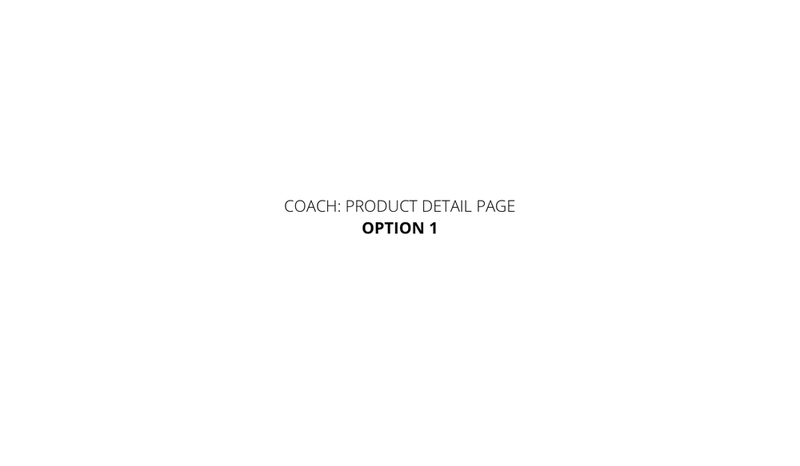 Partnered with art direction team to develop a cohesive interface language for Coach.com that could be rolled out globally. 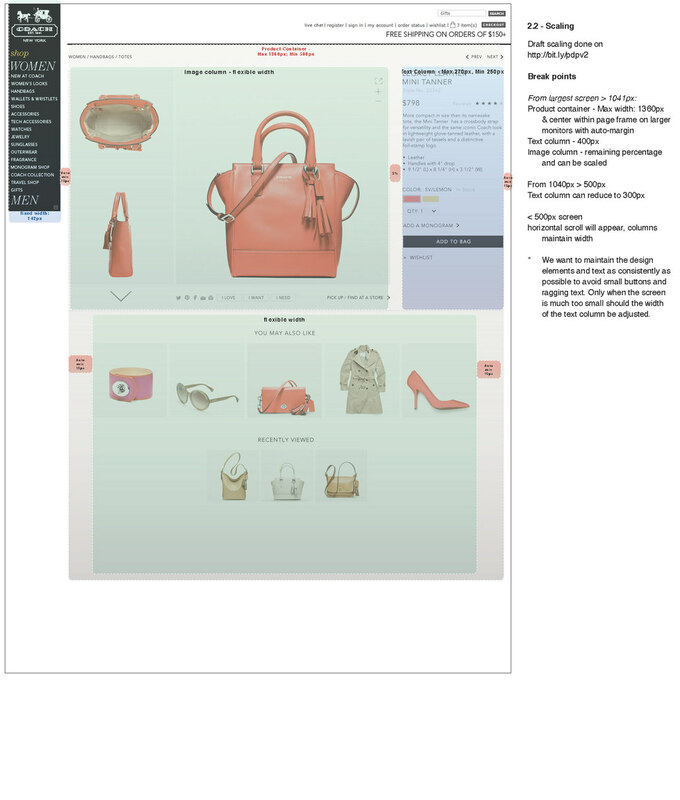 Worked closely with development team to actively QA and monitor progress and work through issues continually through development.